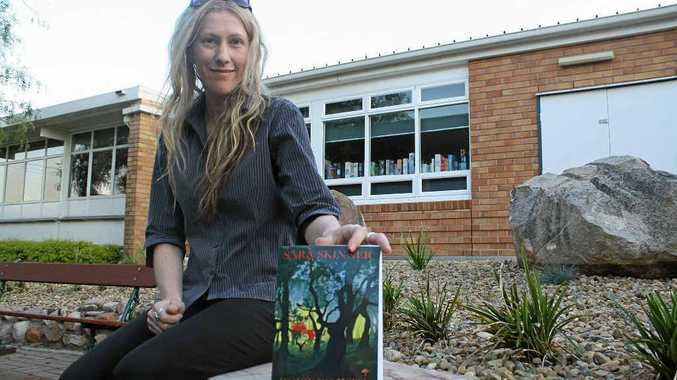 FOR as long as she can remember, Warwick writer Sara Skinner has loved weaving tales of fantasy and fright. Now her talent is available for sale, with the release of her first self-published book and supernatural thriller, Don't Go Into The Woods. While she is reluctant to make comparisons between her book and the Twilight phenomenon, she said there were some similarities. "It's not a love story, actually it is the opposite, but I think it will appeal to that same young adult audience," she said. "It is about two girls in their 20s who are witches and have supernatural abilities. "There is a focus on the witch trials in Europe and America." Miss Skinner said she also loved writing poems and short stories and her literary passion was ignited when she was in school. "I tried writing my first novel at 22 and I have just kept writing since then. I love it," she said. "My English teacher at school told me I was very good at writing and I should pursue it and I think it all started from there. "And my dad always liked the poems I would write and it was exciting to get good feedback like that." The past 12 months have been dedicated to the book and Miss Skinner said she already had plans for a sequel. "I start out with a vague feeling and I get inspired by other books and movies," she said. "I love fairytales because they are so much fun to play with and I just have so many ideas." The book is available in paperback and Kindle format. For a copy of Don't Go Into The Woods, head to Amazon. com and search Sara Skinner.